Whoa, what a week! I mean, can you believe it, not one, but 2 Limited Edition releases within only 5 days!! Ok, let's relax now. Certainly, it was pretty exciting week. If you missed it - well, at least, you missed all the stress and drama. If anyone wants to look back on last week, well read on. Monday started with - well I know you know it, but I am still going to say it - a Limited Re-Edition. 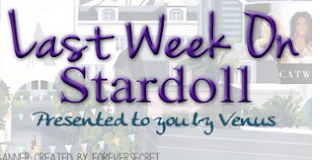 So Stardoll has decided to re-release very first and most popular Limited Edition collection, by selling us stuff they recovered from deleted/deactivated accounts. (Or so they say.) So there is no wonder people stayed for almost 5 hours (raises hand) or even more just to get their hands on some of the most amazing stuff Stardoll team ever designed. There is no wonder that the whole collection got sold out within minutes. So if you had money, it wasn't enough, you had to be really fast, and think fast on deciding what to buy and what to skip, as- surprise, surprise - Stardoll has raised the prices. Nevertheless, the fastest item to be sold out was the priciest one - the Moto jacket, it was gone in seconds! Now I know these clothes will become super popular once (if) they become sellable in bazaar, but I know I ain't selling mine; for example, I wanted and dreamed about those cage shoes for so long, so they are staying with me. On Wednesday, the usual, Callie's Picks, 'Soho Streets' collection. On the first look, I really did not like the collection. Most of the stuff I would never wear in my Stardoll life. But on the other hand, there seem to be many users who disagree with me, as I saw too many positive comments about the collection. I ain't a fashion expert, I am not really good at making 'fashionable' and trendy outfits, but there are many users who styled those items perfectly. At least according to others, I repeat, not an expert. Another popular item seem to be those white platforms. Not a fan either, but I can imagine the type of dolls who would wear them. 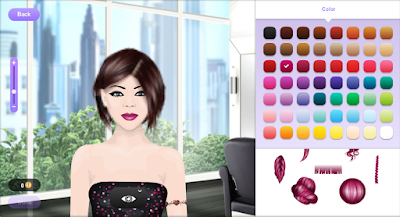 The same day, Stardoll decided to surprise us (well, hair designers to be exact) with the update in Star Design Hair studio. Along with the change of layout, Stardoll decided to give us some useful updates, like options to edit and reproduce out wigs. Reproduce option is really useful, as it gives us option to make new wig using the old pattern, without ruining the original pattern. Studio seems easier to navigate and use. This may seem like a nice treat for people who love to play with stardesign and are talented at making good and unique wigs. The only problem is they did not increase the number of wigs we can have at the time, but I am sure they are working on it. And on Friday - no, I am not joking - another Limited Edition collection, this time a 'regular' one, named "Americana". Again, lots of so called 'fashionable' clothes that I cannot see my doll wearing or using in outfits. Unlike the 1st LE collection, this took a while to sell out, in fact, there is still a fair amount of items available. Platforms seem to be the most popular item, and they were 1st to get sold out. This time I did not stay at the PC for a long time, just checked occasionally, and after some time they got released, I walked into a store (sort of), got what I wanted, and that's it, I didn't even spend that much money. Colors are typical American - red, blue and white (though those are the colors of my country flag as well). Even there are interesting pieces, I had to look twice to be sure it was a LE collection, and not just random, 'ordinary' collection. Yeah, there are some nice items, I hope you got what you wanted. So definitely an interesting week, next one seems promising, but until then, vote, comment, and see you next week.